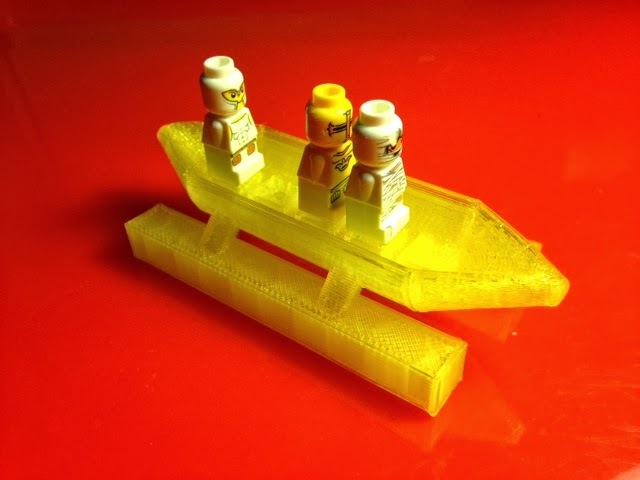 Today our 8-year-old son designed this boat in Tinkercad for an upcoming LEGO competition. The picture shows the 50% scale model we printed today so full-size minifigs don't fit, but printed at full size there will be places for five LEGO minifigs in sitting position, complete with "bumps" to hold them on. Settings: MakerWare "low" with raft and supports, in about 45 minutes (at 50% size).